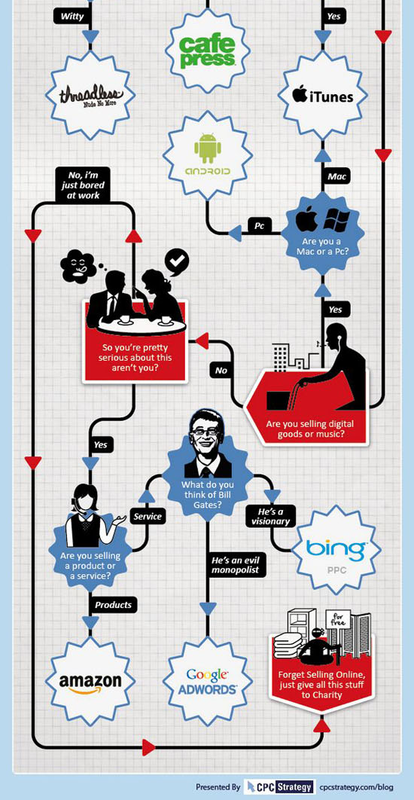 Here, the interesting infographic looks like the question games: Yes or No for you! 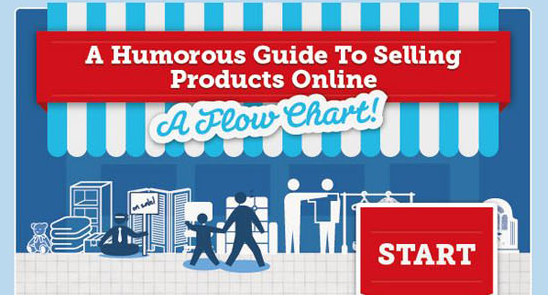 It teach you to learn about how to find the best place for selling goods or services online. Let’s click this to zoom out and see a larger image!